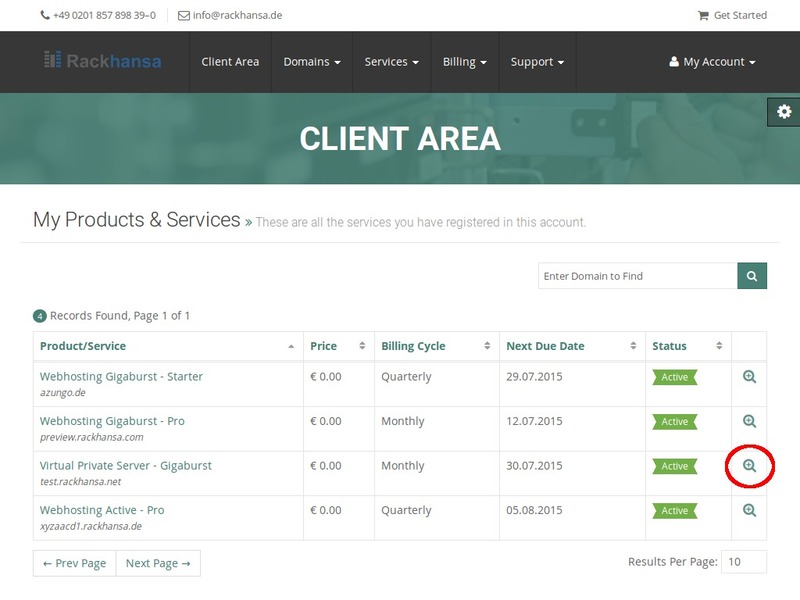 Use the interface and click “My Services” to get an overview of your recent ordered packages and services from Rackhansa. As shown in the screenshot below, all your ordered products are displayed. Choose the VPS package You’d like to edit. An integrated control panel for the Virtual Private Server opens up. 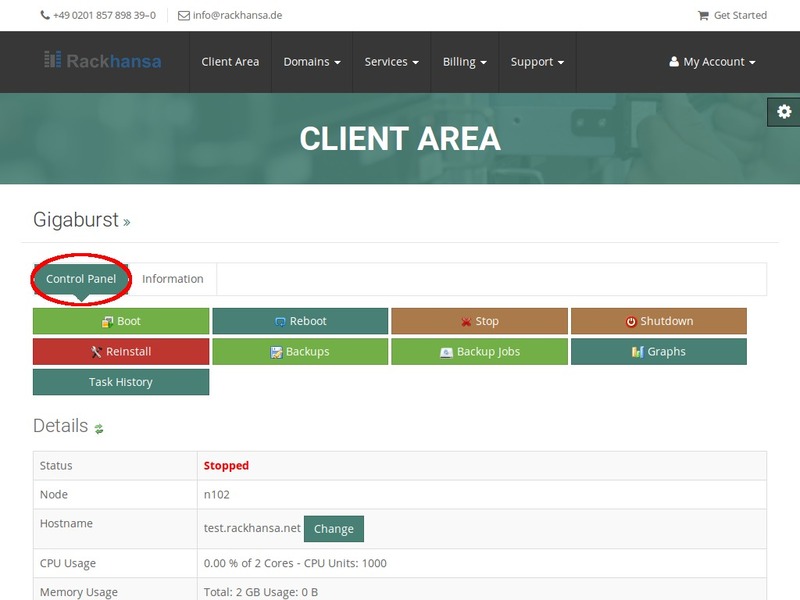 With this user interface it’s possible for You to send direct instructions and orders to your server or to check statistics according to memory consumption and traffic. 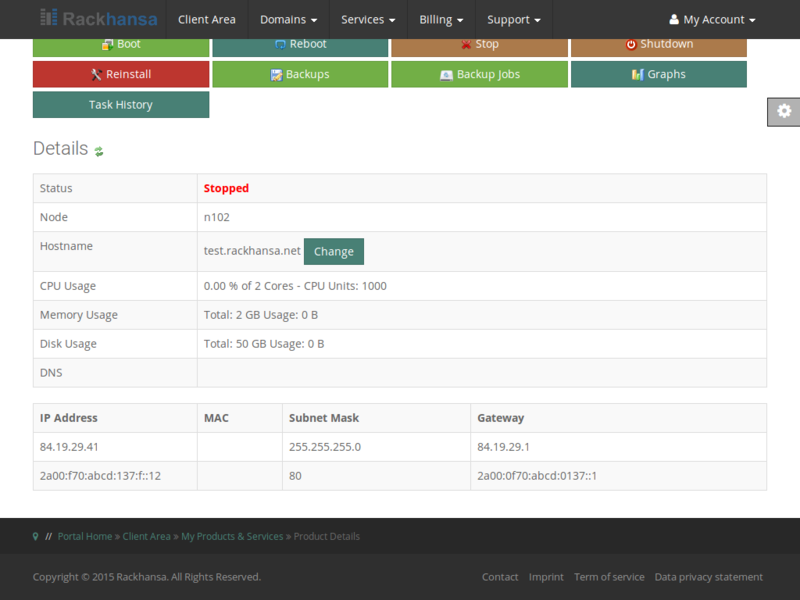 Scrolling the Control Panel down a bit, You can have a look into the details of your server. 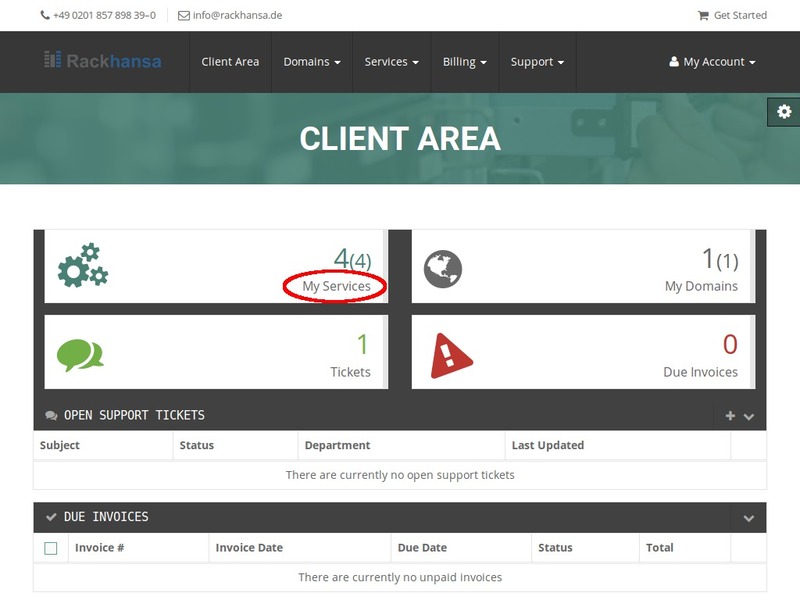 You can also find the IP address that’s connected to your server. 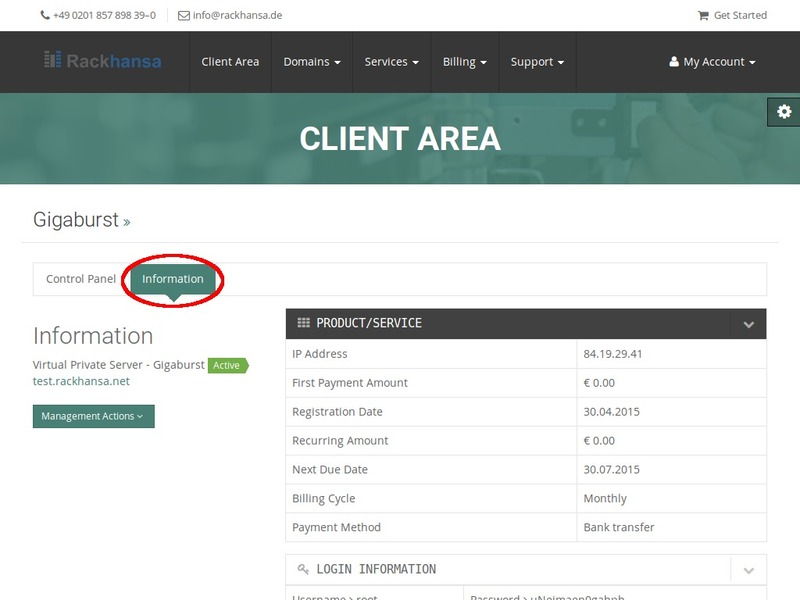 Choosing the tab “Information”, You get an overview of contract conditions of your subscriptions from Rackhansa. The login information for your server access is also displayed here.